In this issue: Korval rules, Vorkosigan celebrates, and werewolves masticate! Theo Waitley graduates from the pilot academy and goes forth to meet her destiny as a future Korval leader as the Liaden Universe® saga continues. Ghost Ship debuts in print. 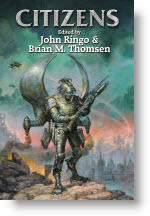 Also this month at Baen.com: the butler did it–save human civilization in epic battle, then become lost for eons, that is. The origin tale for Clan Korval’s Jeeves! Read free Liaden Universe® story “Intelligent Design” now. 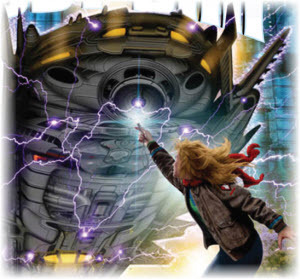 Plus for your reading group, check out Baen’s excellent Ghost Ship study guide. Check out this erudite and entertaining reader's guide to Vorkosigan series landmark A Civil Campaign compiled by a host of talent from the official Lois Bujold Mailing List. 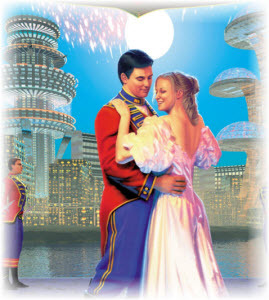 It’s all to celebrate the silver anniversary of Bujold's Shards of Honor, the book where Miles Vorkosigan's parents meet to begin Lois McMaster Bujold’s multiple bestselling–and now legendary–Vorkosigan saga. Get A Reader’s Companion to A Civil Campaign here. Get Lois McMaster Bujold’s latest Miles Vorkosigan thriller Cryoburn. From light-spirited romps to black-hearted noir, from steampunk London to the bleeding edge of the present–love, betrayal and seduction in a beguiling vein by authors Sarah Hoyt, Tanya Huff, Caitlin Kittredge, Toni L.P. Kelner, Diana Rowland, and editor Jon Mark L. Van Name. Get The Wild Side now. Feel like sending an aircraft carrier back in time? Maybe a locked-and-loaded troop of special forces to, say, the Alamo? Your choice: who, when and where. Send us a report and win a complete set of Ring of Fire series eBooks and get red shirted in an upcoming Eric Flint novel! Ring of Fire Contest details here. Ace star ship pilot Theo Waitley’s destiny as master pilot and leader of a powerful clan calls, but there are lots of enemies who will try to make sure she’s quite dead before she has the chance to make an answer. Mark L. Van Name, ed. Earl Harbinger, boss of Monster Hunter International (and a bit of a monster himself) faces down an old nemesis–a very nasty former KGB werewolf who may be working to create a new, unstoppable breed. Tough-as-nails interplanetary mining scion Caron Prescott must prove her mettle and insure her inheritance as an army of hired goons descends upon the lonely outpost she commands. Gritty takes on future combat and penetrating looks into the warrior’s character from Asimov, Heinlein, Clarke, Laumer, Wolfe, and other SF greats who are also military veterans. A young colonial ventures into the intergalactic wilderness of to drive off an incursion by corrupt Terrans. Join Michael Z. Williamson for anywhere from a day to a fortnight of mayhem and amusement at Pennsic, the Society for Creative Anachronism’s annual worldwide event in Slippery Rock, PA, July 29 to August 14. Williamson is a long-time participant in events, as well as being a blade and armor vendor (find him in lucky stall #13). And, of course, Williamson will be on hand as well to sign and sell books—such as his latest novel, Do Unto Others. Tim Covington of Garland, Texas, is the winner of July's Monster Hunter contest. 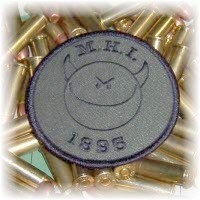 Tim will receive a bound galley of Monster Hunter Alpha signed by Larry Correia, and an official Team Harbinger patch. 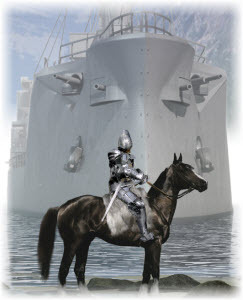 Don’t forget to check out the newest eBook releases, free fiction “Intelligent Design”, and a new science column at Baen.com.